For the last month or so I have been having some fun with making scale models of my surroundings. I’m not actually breaking out the glue gun and paintbrushes, I am using a neat photographic technique called ‘miniature faking‘ that makes photos appear as though they are taken of miniature scale models. This technique mimics the use of expensive specialty ‘tilt-shift‘ lenses that alter perspective by being able to, you guessed it, tilt and shift the glass elements of the lens relative to the focal plane of the camera. These lenses serve to distort perspectives in strange and wonderful ways that make scenes look like they are miniaturized. In more simple terms, and in a more simple approach, we can trick our brain into thinking that we are looking at scale models. Three factors come into play. 1) If we blur the outer edges of the photo, this invokes the look of a macro lens. 2) If we shoot looking down on a scene, it looks as though we are looking down on a scale model, and 3) if we saturate the colors of the image, it removes what is known as the ‘atmosphere effect’. In the real world, if you take a picture of faraway objects, the colors of the object tend to dull with increasing distance. If you were looking at a scale model, there would be no atmosphere effect. That’s it, there is no real distorting of the image. Neat! So how can you accomplish this easily? 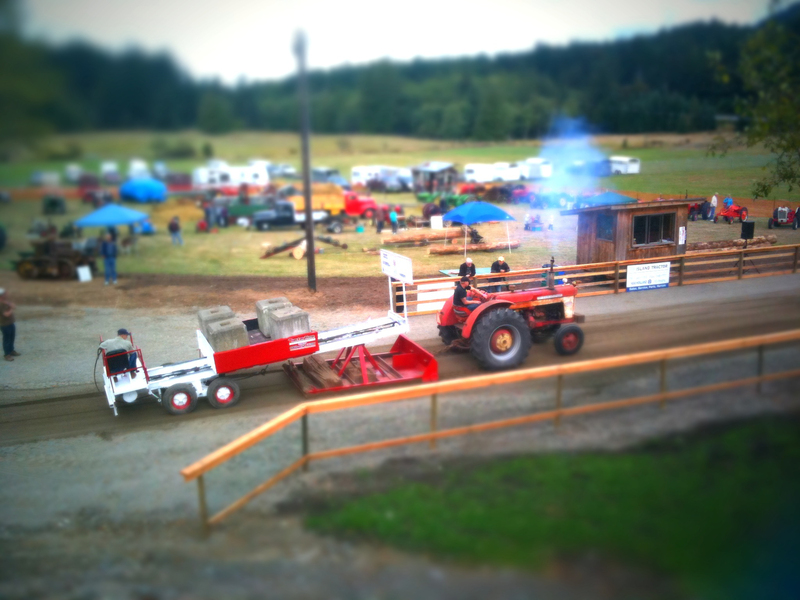 I have been using the iPhone application “TiltShiftGen”, which is a great way to create these images when you are out and about. There is also a tutorial about how to do this with Photoshop, which can be found here. To see more of my fake miniatures, check out my Flickr page. Enjoy!